Opposition MPs boycotted sittings since the suspension of their colleagues and the subsequent raid by plain-clothed personnel who forcibly ejected them from the chambers. The raid that was later owned up by the Inspector General of Police Kale Kayihura came prior to the tabling of a bill which seeks to among others; amend Article 102 (b) of the constitution to lift the cap on the presidential age. The current provision limits persons above 75-years from contesting for the presidency. “I would not be reasonable to say that the events of September 27 are not regrettable, I would not be acting in a sincere way. These events were not proper. It was first of all unnecessary and secondly highly regrettable. 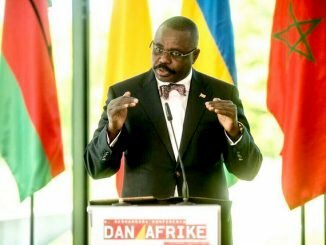 And I pray that this House will never witness anything like that ever again,” Oulanyah said. This is the first time Oulanyah is coming out to openly make statements about the events that unfolded under the stewardship of Speaker Rebecca Kadaga. He explained that he is only aware of the office of the sergeant at arms and the parliament police directorate that was created in the recent past as the only security organs that are supposed to be in charge of the security of the precincts of parliament and protection of MPs. “We have a department of sergeant at arms responsible for the general security of parliament. And the work of sergeant at arms in the Commonwealth world where we borrowed this from, is maintaining the dignity of the House and related matters and making sure things happen in the way of rules and procedures of this House and practice permit. But in the recent past, we have also created a directorate of police headed by a commandant. 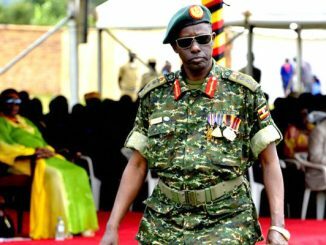 Because of the changed nature, the security definition of things has changed, the threats that could not be within the control of things of Sergeant at Arms – they could be other things terrorism and things like,” said Oulanyah. “In the wisdom of parliament, they decide to invite these people to have the presence of the police in parliament and it is a recognised directorate of police inside parliament. They are the ones I know and those are the I know are supposed to be in charge of the precincts of parliament wherever it may be sitting and its members”, he added. 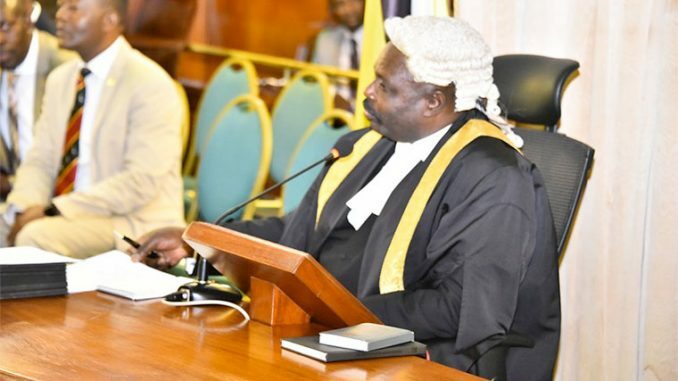 Oulanyah’s statements followed a procedural point by opposition whip Ibrahim Ssemujju Nganda who narrated how he was brutally ejected from the chambers even when he was not named by the speaker for suspension. “I was not one of those that were suspended but I was grabbed from this chamber, dragged and thrown on the ground in a room just behind you Sir, I was strangled and driven at a very reckless speed in a police van and detained at Naggalama police station,” Ssemujju narrated. Ssemujju questioned Oulanyah on the issue of his security in the chambers when even the speaker does not know the identity of the people who invaded parliament. He also questioned whether the chambers have the atmosphere where MPs can sit and deliberate on national issues. However, Oulanyah assured MPs that their security in the chambers is guaranteed and that if anything happens outside this, it would be an exception to the rule that they have a guarantee of security of members. Kilak County MP Gilbert Olanya also reported that during the ejection, one of their colleagues Odur Jonathan lost Shs 10 million and that he personally lost his iPad during the scuffle. Oulanyah advised MPs to forward some of the questions to the Speaker of Parliament Rebecca Kadaga who presided over the session. “Reference has been made to a letter from the speaker, I have not seen that letter. I have seen it on social media. I have also seen a response purportedly from the president also on social media. I cannot guarantee the authenticity of either of them because none of the purported authors has confirmed to me that they have written this letter. Not the speaker, not the president. So I cannot say the president has written, I cannot say the speaker has written. I have not received a formal copy from the speaker about this. It will be for the speaker to confirm if she wrote and if she received a response to it from the president. 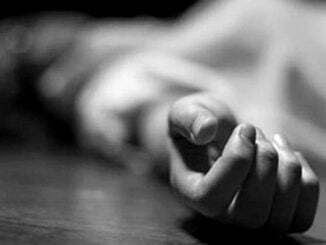 That will be for her because it is not within my knowledge. On the lost iPads, the issue will not be so much of procedure but claims that if circumstances were such that they could be lost, the people responsible for the losses should be approached and they make good of the loss made to Members of Parliament,” Oulanyah said. Oulanyah also reported that Kadaga had requested that all formal issues in regard to the September 27 should be raised when she is in the chair since she steered the House when the events unfolded. “I spoke to the speaker this morning and if there’s a formal issue that should be raised to address this issue, the speaker requests that it should be in her presence because she was the one who was here,” said Oulanyah.